2013 has been both a good and bad year for cinema, depending on your taste in movies. The big budget fare was somewhat disappointing/middling but the independent films and Oscar fare were,quite frankly, pretty excellent. Now that another year has flown by, we can look forward to the movies coming out in the year 2014. Before I state the top 10 movies in 2014, I’d like to lay out the one ground rule I have. No movies which have seen limited release in 2013 or were screened for critics in 2013 and waiting for wide release in 2014 will not be included in the list. Also, and this goes without saying, this list of movies will be based on my taste and cinema and others will have differences in opinion. For some, it may be too commercial; for others, not enough. So, here are the 10 movies for the upcoming season. Days of Future Past: Bryan Singer returns for the culmination of all X-men films, the movie has the greatest cast ever assembled. Here’s hoping that it is not like his previous effort Jack the Giant Slayer. Your mandatory Marvel movie on the list, it is their most ambitious movie plot-wise till date ( at least until Edgar Wright’s Ant-Man comes out), on paper in seems to be a perfect match of art and artist- both James Gunn and Chris Pratt seem to be perfect choices. The movie should be entertaining at the very least though. Starring the newly appointed Batman in Ben Affleck, the movie is based on Gillian Flynn’s script based on his own novel; it should be more along the lines of Zodiac than his remake of Girl with the Dragon Tattoo. When the original came out in 2010, it took many people by surprise with how gorgeous it was and how well it was written, one of the co-directors and the primary cast returns for the sequel. The movie needs to be good for animation’s sake, with both Pixar and Dreamworks making middling movies now. Johnny Depp plays a scientist who uploads his conscious onto a super computer, with Kate Mara and Rebecca Hall to give him company. Wally Pfister’s first directorial effort based on a black list script, here’s hoping that he has picked up a couple of skills from frequent collaborator Christopher Nolan. Supposed to be Clooney’s big push for the Oscars on 2013, it got delayed because of tonal issues. I’m still holding out for it, because it has an amazing cast and if they managed to get the tone right (and not make another Leatherheads), it should still be pretty amazing. The Wachowskis return with a straight sci-fi film, with Channing Tatum and Mila Kunis their muses this time, the crazy artists return and if it is as ambitious as Cloud Atlas, we should be in for a treat. Wes Anderson at his Wes Anderson-iest starring the most Wes Anderson cast ever, what’s not to like? Darren Aronofsky’s reinterpretation of the Biblical tale, it appears more along the line of The Fountain and, hopefully, isn’t as middling, but should be equally ambitious. 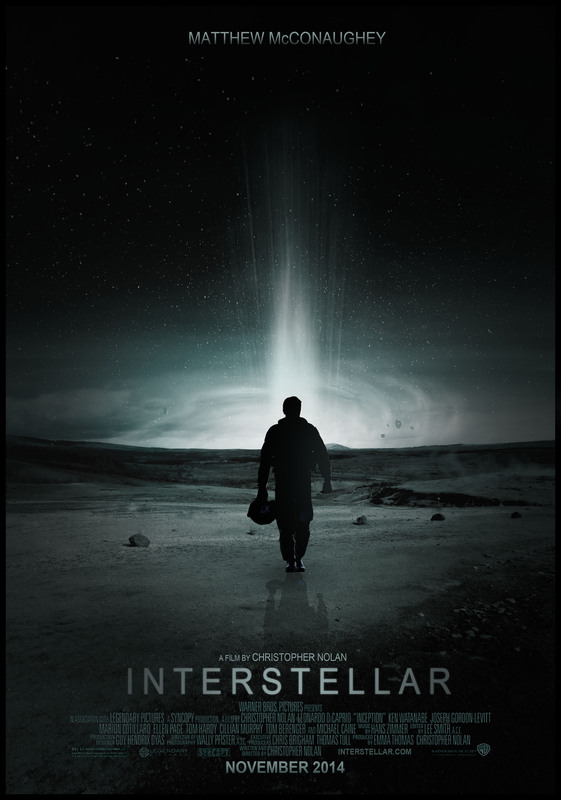 Christopher Nolan returns with a sci-fi movie, written by his brother, with Matthew McConaughey his lead. The premise, written by his brother based on Kip Thorne’s writings, the premise is very intriguing and hopefully is better than the middling to good Dark Knight Rises.